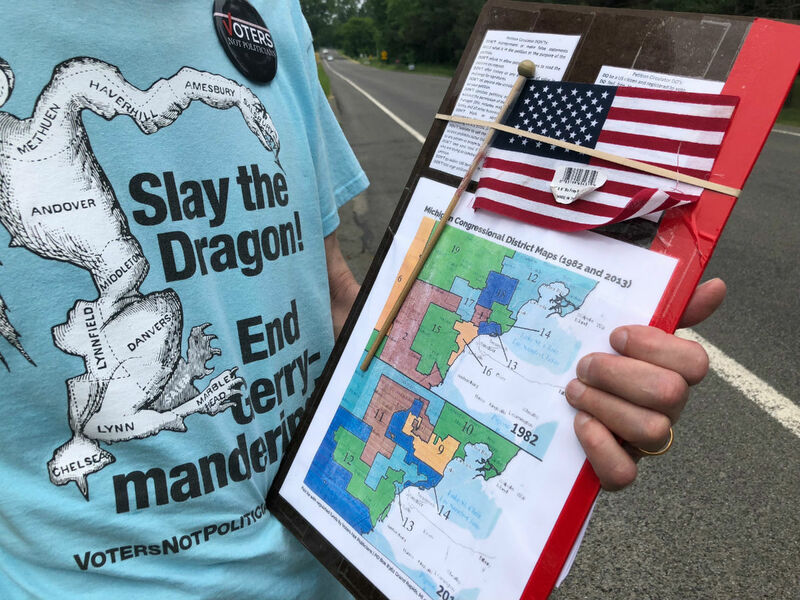 The League of Women Voters, in a federal lawsuit, claims 34 Michigan congressional and legislative districts are illegally drawn to favor Republicans. A possible settlement in a federal lawsuit over Michigan’s political districts is giving Democrats hope of regaining the state Senate and causing heartburn for Republicans. Special elections in newly redrawn districts would follow in 2020, including perhaps those in the state Senate which Republicans now control 22-16. The suit alleges 10 of the districts are unconstitutional, and seven of those are now held by Republicans. The prospect of special elections emerged after Benson took office Jan. 1 from Republican predecessor Ruth Johnson, whose lawyers had sought to delay and dismiss the case. 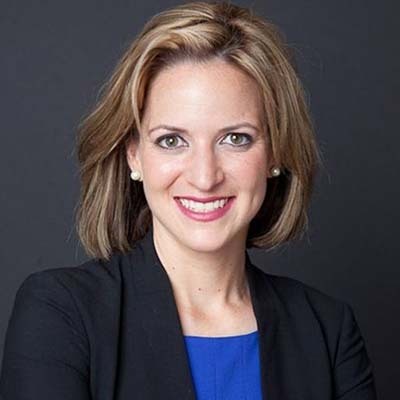 New Michigan Secretary of State Jocelyn Benson, a Democrat, announced last week she is in talks to end a federal lawsuit over redistricting. The secretary of state is the main defendant in the case brought by former Michigan Democratic Party chairman and attorney Mark Brewer. Settlement talks began around Jan. 10, according to court documents. “This is pretty remarkable. I’ve never seen anything comparable… It’s a pretty stark example of what can happen when an election result changes in the middle of a lawsuit,” said David Daley, a senior fellow at FairVote, a nonpartisan group that advocates nationally for electoral reforms. New maps would only last for the 2020 election. The next year, a citizens commission created by voters through a referendum passed in November would draw new districts for the 2022 election and thereafter. Benson last week said she is moving to settle to ensure a fair election and save taxpayers money on a trial that Michigan would certainly lose. In court papers, attorneys representing GOP House Speaker Lee Chatfield and Michigan’s Republican congressional delegation claim they were blindsided by the talks and filed a motion Tuesday questioning her ability to remain as a defendant in the case. “I don’t want to get in a beef with the lady (Benson), but do something positive,” Sen. Pete Lucido, R-Shelby Township, told Bridge Magazine. 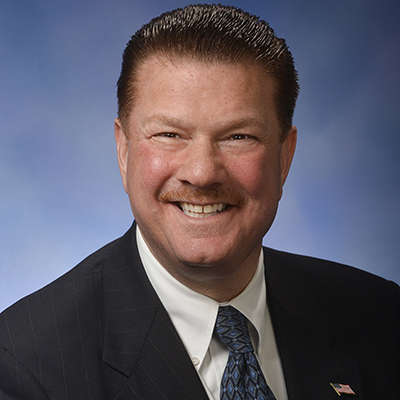 In November, Lucido won by a landslide, 62-38, capturing District 8 in Macomb County. An email uncovered in the federal case shows a Senate staffer had bragged it “would certainly be a Republican district” after lines were redrawn in 2011. Lucido noted the state constitution mandates Senate seats are elected every four years to terms that run concurrent with the governor. “If judges bless a settlement that goes against the constitution, then we are all in trouble,” Lucido said. Sen. Pete Lucido, R-Shelby Township, objects to any settlement in the federal case in part because it could trunctuate the terms of some state senators to two years. The Michigan Constitution calls on them to serve four year terms. Special elections and shortened terms would be neither unconstitutional nor unprecedented, said Justin Levitt, a professor at Loyola University Law School in Los Angeles, an expert on redistricting. In 2016, for instance, Florida state senators had terms trunctuated and stood for re-election when districts were redrawn because of the state’s anti-gerrymandering law. “I don’t think there’s anything unconstitutional … if the settlement is a good-faith agreement undertaken in order to prevent liability (for partisan gerrymandering) under the federal constitution,” Levitt wrote Bridge in an email. Other states, including North Carolina, also have had court-ordered special elections because of gerrymandering claims. Some have occurred several years after the lines were drawn, Levitt noted. In Michigan, special elections would not affect terms of members of the state House or the congressional delegation, who stand for election every two years. Higher turnout typically favors Democrats. “I’m just strapped in and along for the ride. We all serve at the pleasure of the voters,” Sen. Jeff Irwin, D-Ann Arbor, told Bridge. He was elected in November to District 18, which includes Washtenaw County and Ann Arbor. That’s a tactic known as “packing,” concentrating voters of one party into single districts to dilute their numbers in neighboring ones. The district adjacent to Irwin, District 22 in Washtenaw and Livingston counties, favors Republicans but by a lesser degree. Republican Lana Theis won in November 56-42. “This could become my problem (if districts are redrawn) but it’s not something I can influence or even try to,” Irwin said. A special election “would be a lot of work, but it’s not something I’m going to focus on,” Irwin said. On Tuesday, Theis was one of three GOP senators in districts targeted by the lawsuit to file a motion in federal court seeking to intervene in the case. She was joined by Jim Stamas of Midland and Ken Horn of Frankenmuth. Another district targeted in the suit, District 14 in Genesee and north Oakland counties, is represented by Ruth Johnson, the former secretary of state. She was elected to the Senate in November as she prepared to leave her state post because of term limits. A lawsuit settlement raises the possibility that Johnson, a one-time defendant in the case, would have her term cut short because of it. Ruth Johnson was a defendant in the gerrymandering case when she served as secretary of state. 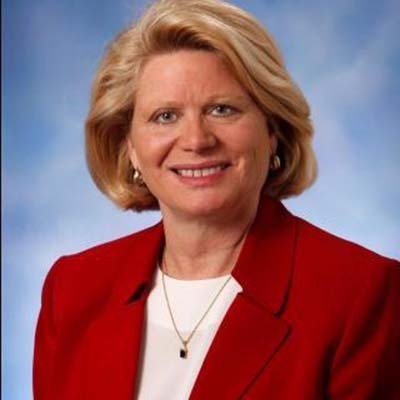 Now, she is a Republican state senator representing northern Oakland and parts of Genesee counties whose district is one of those targeted in the federal gerrymandering case. Besides the 10 Senate seats, the suit challenges nine of Michigan’s 13 U.S. House districts and 15 in the state House. An affidavit by Joseph Yeager, an attorney for the League of Women Voters, filed in court this weekend indicates any compromise with Benson would involve fewer than the 34 total districts challenged in the case. “Until we have some sense of how these lines are going to be redrawn, it’s a great unknown and wildcard,” he said. Another complication: The populations of many Michigan districts have presumably changed since they were drawn after the 2010 Census. Each Senate district is supposed to have about 212,000 to 260,000 residents. Would redrawn districts reflect the population of nine years ago or today? Republican consultant Stu Sandler said drawing districts is “incredibly complicated” and involves a host of legal requirements. He echoed arguments made by Republican attorneys in the case who want the case delayed until after the U.S. Supreme Court decides two gerrymandering cases this year, one involving districts that favored Democrats in Maryland and another that gave Republicans an edge in North Carolina. A decision on those cases is due by June, a few months after the Michigan case would be decided if it were to go to trial. “Jocelyn Benson is trying to rig elections to favor Democrats,” Sandler said. In a motion Tuesday, Republican attorneys sought a delay in the case to obtain emails, texts and other communications between Brewer and Benson before what they termed a "clandestine settlement." "The fact that Secretary Benson has potentially reached a settlement with Plaintiffs only days after being recognized by the Court ... creates serious doubt regarding her continued standing in the case," the motion read. Benson spokesman Shawn Starkey said she spent weeks reviewing the case before concluding the state would lose. "As the state’s chief election officer and one of the nation’s leading experts in election law, Secretary Benson is deeply committed to ensuring our districting process is fair, nonpartisan, and complies with the requirements of state and federal law," Starkey said. "That’s precisely what the voters elected her to do. It’s laughable to suggest otherwise." Brewer, meanwhile, filed a motion over the weekend including emails that indicate Republican attorneys were in fact made aware of the settlement talks. The motion alleges GOP attorneys elected not to participate in the discussion. “There is no such thing as a secret settlement. Any settlement would have to be approved by the court,” Brewer told Bridge, declining further comment. Courts could hear objections before signing onto the settlement, legal experts say, and the Legislature would get the first opportunity to redraw lines within a specified time. Otherwise, the court also could appoint a special master to draw the districts. It's 2019, so close to the 2020 census and re-drawing of districts. I suggest time and money be devoted to preparing to re-draw district based on that census. I am against gerrymandering and voted so in the last election. Both parties have been guilty when they were in power, so it's the pot calling the kettle black. The MI GOP is laughable. SOS Benson is going to save the MI taxpayers a bunch of money by coming to a settlement on a lawsuit that the state will surely lose, if it goes to court. The result will be that the GOP controlled legislature will be allowed to redraw the new districts. They know that if they do this in the light of day, they will probably lose some control. They're scared out of their pin-striped suits that fairly designed districts will empower the citizens of our great state to take back control. It's be about time! Peak GOP: "Democracy is unfair to Republicans!" Necessary background: in the 2018 election, GOP candidates won only 47% of the total vote to 52% for Democrats for both the state House and Senate, but they grabbed 53% of state House seats and 60% of state Senate seats. Of course the threat of democracy gives them "dispair"! Fairness means they lose. Cheating is how they win. This seems to be a huge waste of taxpayer money and government employees time, to redraw districts for one election. Drop this until the districts are redrawn based on the upcoming census, by the new citizens commission. California (and Illinois) here we come!!! Yes! Toward democracy and fair elections. And a better state and not one controlled by the business oligarchs. Yes, Kevin it's time to celebrate the recovery of our state from the super rich. Don't pop those champagne corks yet, Rick! Have you ever noticed the LACK of articles in The Bridge citing the fiscal responsibility displayed by democrats controlling other state governments? Sure, they're great handing out free stuff to others in exchange for their votes. Not so much when it comes to actually paying for it in a sustainable manner. Remember, when Detroit and its public school system (BOTH controlled by democrats) went bankrupt and was bailed out, Lansing needed to dip into the public purse to do so. Whom do you expect will rush in and bail out Michigan when the democrats do the same thing (again)? The more people who are dependent on the State for all aspects of their existence the better! I agree with you, David, and so would most Americans, which is why Republican leaders use undemocratic tactics to skew election outcomes - and screw the people. With shifting populations, it would be good to understand how many people each district represents. Bridge has shown that rural districts are losing population. The comment was made that Republicans only got 47% of the vote, but won 53% of the seats. My thinking is that the larger populated districts (urban if you will) have as residents mostly Democrats, while the smaller populated districts are mostly Republican (rural if you will). Unless one wants to have a continual change in representatives, then 53 vs. 47 is not that large a disparity. The law says that the census taken every 10 years dictates the district boundaries. Would people be happy changing the law to say that a 2 year census should be used to change the districts? I think not. The census dictates how many representatives are allocated to each state. The states draw the districts. No Mary, this duty was explicitly delegated to the Legislatures of the states in the US Constitution ... if that matters to you? I still don't see how these proposals amend it? "Larger populated urban" vs "smaller populated rural" districts? Districts are required to be drawn so they're roughly equal (within 1% or so) in population. Compare the geographic size of the 1st congressional district (the entire upper peninsula plus several counties in northern lower peninsula) to the 12th or 13th congressional district. Whether to redraw districts and have a new election is a complicated for me. On its face, I think it's a dumb idea with redistricting due to occur in two years anyway. But, I don't think abuses should be dealt with by simply saying, "You got away with it this time, but we won't let you do it again. I'll have to see a proposed response in its entirety and think about it. It will take me awhile to stop laughing. The Repubs will actually have to win votes. There should be no "safe" districts. Speaking of power grabs. Isn't that what happened in the lame duck session? Lame duck is another thing that needs to go. Thanks Mary. The Republicans don't want to hear any voices of reason, logic or facts. Lucido states “Is anyone forgetting about the will of the people?". Now there is pot calling kettle black. The Republicans regularly slap "the people" in the face. They attach insignificant amounts of money to bills so they can be declared part of the state budget and are therefore immune to change by the people. Then of course, when "the people" approve ballot proposals, the Repubs don't hesitate to immediately vote to change/override the effects of the proposals. The Repubs only care about the will of the people when those people agree with what the Repubs want. That's a really cool shirt. Is it historical or a more recent take? The image on the shirt is from a political cartoon printed in The Boston Gazette back in 1812. It was in response to a bill signed by Massachusetts Governor Elbridge Gerry to benefit the Democrat-Republican Party in the state senate. They eventually dropped the republican part of the name are now known today simply as democrats. It was the Democratic-Republican Party (there was never any such thing as a " Democrat-Republican Party," just as there is no " Democrat Party" today). Gerry was also the 5th Vice President of the United States, serving under President James Monroe, aka the "Father of the Constitution" and one of the founders of the party.